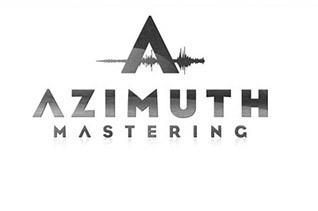 Exeter Recordings / Azimuth Mastering – Mix & Master Promotion! Hey everyone! It's been a long time since I've run a promotion over here at the studio, so this time we are going all out! I've teamed up with long time affiliate Bill Henderson at Azimuth Mastering (Balance and Composure, The Wonder Years, ect.) for a country-wide promotion! Fill out the form below, and one band from EVERY STATE in the U.S. will be selected by us to mix and master one song FOR FREE! Whether it's a track you recorded at your home studio, something that is already released that you'd like to mess around with, or a brand new track, send it over at no cost! The only requirement is that you or someone you know has access to your project files so your tracks can be properly uploaded to the Exeter FTP Space (or you can send through any of the popular File sharing sites). It doesn't matter what operating system or program you use. If needed, I will help you through the process of getting the files, so don't be hesitant to ask for help. Hey, it's FREE, so let's have some fun and make an awesome track together! What have you got to lose? View the map below to see if your state is still available. Then complete the form to enter the promotion. Best of luck! Do you have access to your project or have someone that can access the project for you? (to help send your files). What program was used to record your project? What is the sample rate of this project? How soon can you could upload your files to Exeter?